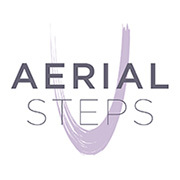 Aerial Steps is all about training you to use an Aerial Yoga hammock safely, creatively and relevant to enhance your yoga accreditation points. I have been teaching yoga since 2007 and Aerial Yoga from 2012, additionally I have practiced aerial skills in trapeze, silks and hoop since 2009.I also have completed my Introductions to teaching Aerial trapeze and silks with NECCA circus school, Level 1 in silks and cocoon. Aerial Yoga is growing in popularity and isn’t just another yoga fad! The yoga hammock might be the most creative prop you will ever use in you class but it is that simple, it is a prop. Whatever style of yoga you teach or practice, the Aerial hammock can be a great tool to use. This course is only for certified yoga teachers that are looking to develop a new and rewarding career in teaching Aerial Yoga . 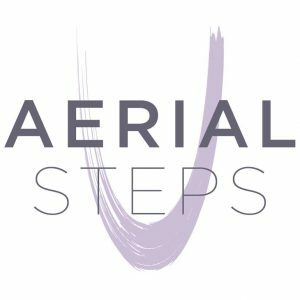 You can reserve your Aerial Steps place by using the deposit button below and paying the remainder 4 weeks prior to the course date. I also offer private aerial yoga teacher trainings where I deliver training in your studio (UK & Europe).This can include consultancy on setting up to be an aerial yoga studio. A non refundable deposit of £200 is required to reserve your place.